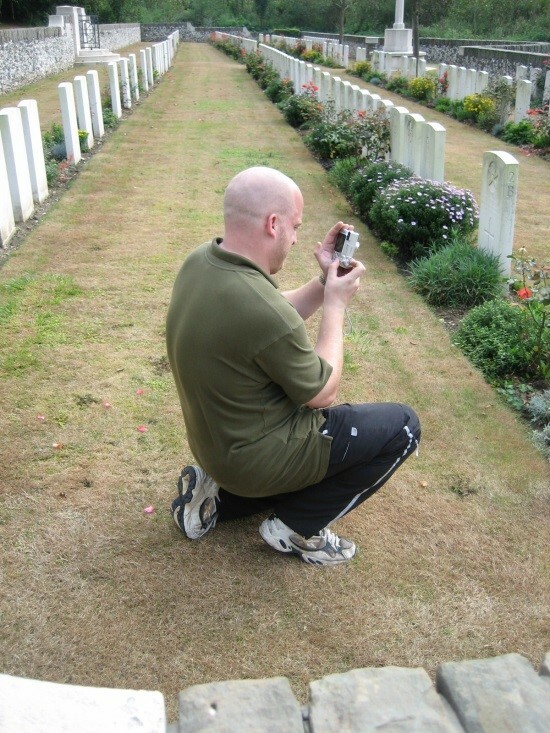 In summer 2003, whilst recovering at home from a broken ankle, I spent a great deal of time on the Internet, looking at information about the WW1 war dead from various schools around Britain and Scotland. I came across some excellent websites created by various schools commemorating their war dead, and I wondered whether anyone had researched the war dead from Bloxham - my old school. The school had some basic biographical information, as well as a near complete set of portrait pictures of the dead, but I discovered that no one had conducted an in depth research into the men who died.. This personal misfortune, started a hugely rewarding journey through the lives of 80 young men. These were young men I had never met and never heard of, and yet today, 14 years later, I feel like I know each one of them personally. I have got to know them through their pictures, their military papers, the war diaries which record what they were doing at the time of their deaths, and through visiting their burial sites. On some occasions I have been fortunate to meet some of their living relatives. I have learnt of tales of selflessness, bravery, horrific injury, the occasional misdemeanour and the terrible toll that the Great War caused to families throughout the whole country. The men from Bloxham School held every rank in the military from Private to Brigadier General, and served in every theatre of war. Between them they won medals for gallantry, were mentionned in despatches for individual acts of bravery, and some fell foul of military law - however, regardless of their rank, action or background, they all share one thing. None of them came home. As the centenary of the Great War is upon us, I decided to update, refresh and redesign the website. I have gathered masses of information over the past 12 years and felt a new website would be best to display this information. I have a full time job, a wife and family, and am completing this in my spare time, so please bear with me if progress seems slow. Working with material which is 100 years old can be notoriously fickle and mistakes do happen. If you spot anything which you believe to be factually incorrect, or if you would just like to say something about the website, or make any suggestions etc, then please email me on mattdixon@bloxhamschoolwardead.co.uk and I will endeavour to make any amendments as soon as possible. Hard at work somewhere in Belgium.